Nipper Knolls Equine Center and Saratoga County Veterans Peer Connection seek to provide an opportunity to military veterans to experience the unique benefits of the horse and human connection, in a safe and friendly environment. 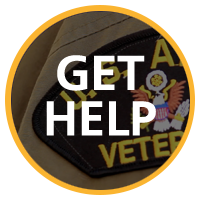 Veterans will be from the Saratoga County Veterans Peer Connection Program, and will be screened by the Program Coordinator. Once approved by the coordinator, the veteran will contact Nipper Knolls Equine Center (NKEC) to arrange for initial assessment/session. Veteran agrees to a pre-screen for PTSD. The veteran will commit to weekly sessions for an 8 week period, to learn and practice horsemanship skills. At the end of the 8 week period, a post PTSD test will be administered. After 8 weeks should the Veteran want to continue working with horses, options will be discussed to allow this to continue. It is the goal of the horsemanship skills class to provide a solid foundation on which the veteran may choose to continue their experience with horses, as a volunteer or advance to other avenues of working with horses. No history of animal abuse. A horsemanship skill is a term used to describe the style and techniques used to work with horses. It takes into account safety as #1, then practicing the methods which work best for communicating effectively with the horse, mainly through non-verbal gestures. This program is intended to give a solid foundation in horsemanship skills. There is no riding or driving instruction included in this program. Once training is complete, the Veteran may choose to continue working with the horses, or may choose to volunteer with children with disabilities who participate in the barn’s riding program. Connecting with the horse can have a profound impact on both the Veteran and the child. By design the program will be very small, the maximum number of veterans would be 5, one for each horse, to start with. During this time there are not any other people in the barn, which will allow the Veteran to focus on the horse and what they are learning and not have to be concerned with who’s watching or waiting to use the arena. Call 884-4999 or email veteranpeers@gmail.com to apply. 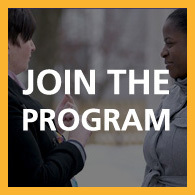 Program Coordinator will connect you with the Nipper Knolls organization. This program is FREE for our Veterans, space is limited. Call! 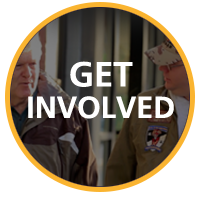 A Veteran is already involved at the barn and we can connect you with him.